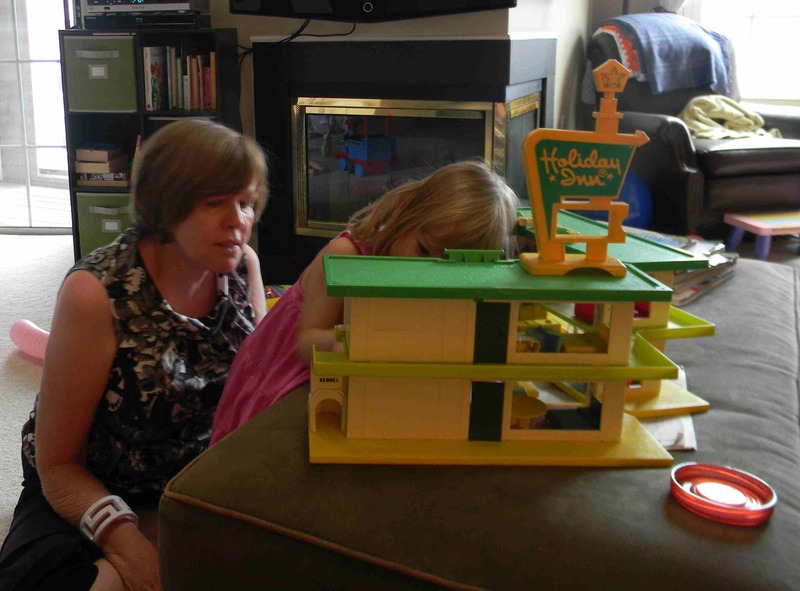 Miss H is pretty much spoiled by everyone but this week, Aunt Leigh gets the award for spoiling her the most. 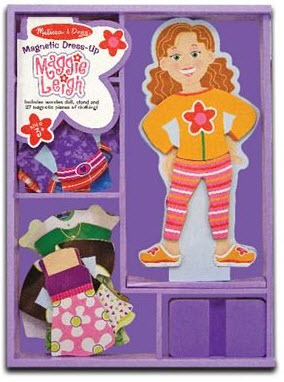 Last night, a package arrived that contained a new ‘dollhouse’ and a magnetic dress-up doll named Maggie Leigh. 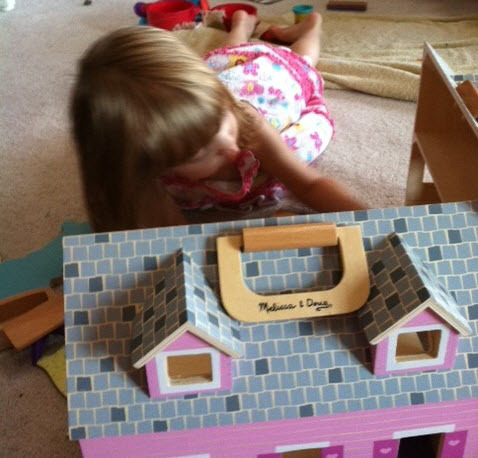 Aunt Leigh saw how much Miss H liked the Holiday Inn and remembered how much she played with her own dollhouse that she had to go shopping. And, it was a big hit. 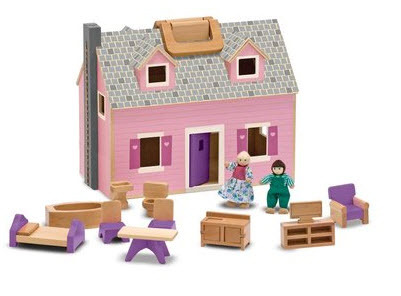 The added bonus is that the Holiday Inn furniture and people are just as happy in the doll house as they are at the motel. And, it was another evening where there was no need to pull out the Play Dough. 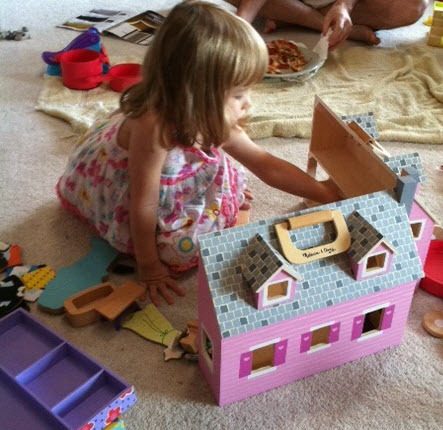 Thanks Aunt Leigh, I love my new dollhouse!